Airports are thrilling and fascinating places for children, full of unusual equipment, strange machines and - of course - lots of planes. 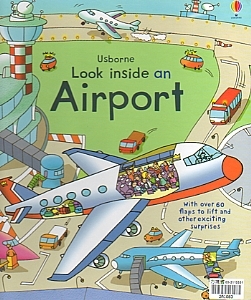 This book allows young children to find out more about how an airport works. Richly informative, with colourful, friendly illustrations and lots of flaps to lift and look beneath. 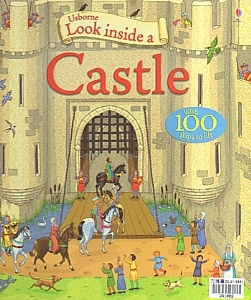 Simple text and photographs present castles, including their construction, history, and interaction with the environment'--Provided by publisher. 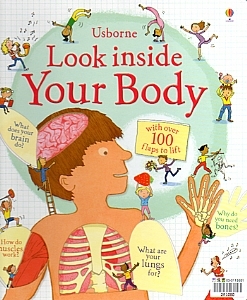 This is a wonderful flap book introducing children to the way their own bodies work in a fun and informative way. 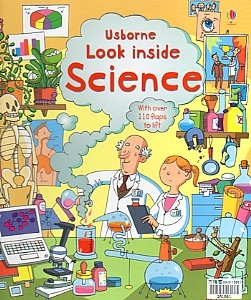 It is a new, smaller format of the "Look Inside" series, perfect for little fingers. It is full of surprises to keep enquiring minds entertained, including flaps beneath flaps and a cheeky peek inside a toilet cubicle. 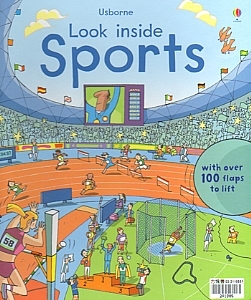 This is a great, fun flap book packed with interesting information about popular sports, particularly those taking place at the 2012 Olympics. Each scene has several flaps to lift to find out even more about the sport - such as what goes on behind the scenes at a busy stadium, how athletes train, interesting bits of sports kit, or what lies underneath a football pitch or ice rink. Scenes include an Olympic swimming pool, an athletics stadium, a ski slope, and a cycling velodrome.